Sleeping with a partner who snores can mean many sleepless nights. It’s distracting, troublesome, and frustrating especially if you need to sleep to prepare for work the next day. Not only for the sleeper next to the snorer, but also the snorer as well when they get woken up frequently by their partner being told to stop snoring. If you or your partner snores, it does not mean just restless nights but could also potentially be a warning signal for an underlying medical condition that warrants some lifestyle change or treatment. Your choice of mattress can definitely save you from further sleep deprivation, restless nights, and aggravating your snoring issues. It can even save relationships if the prolonged disturbance of sleep continues to wreak havoc on your romantic life especially if you share beds with a partner. Your Mattress Can Be One Cause Of Snoring! A number of sleeping disorders and other medical conditions can be associated with snoring; and some of which would require immediate medical attention. People snore for a variety of reasons. Allergies, obesity, dry climate, drinking alcoholic beverages, smoking, aging, taking certain medications, sleeping position, or illnesses like sleep apnea and even sleep deprivation could be to blame. Snoring may seem normal because it’s common among a large amount of the population but it’s not. This actually is a red flag that says there is something wrong or obstructing your airways. You should be aware that your sleeping conditions can affect snoring, for example, your choice of mattress. According to a recent sleep survey, around 75% of people are reported to have disrupted sleep due to partners that snore. This speaks volumes of how serious this problem is worldwide. 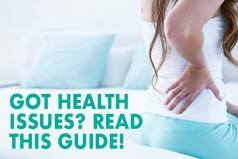 Did you know that your mattress can trigger this problem? Yes, the fact is, snoring occurs when there is a partial obstruction in the airways. This usually is precipitated by your sleeping position and the sleeping surface. If your head, neck, and back are not properly supported, that’s when you may start to snore, and it can become a regular occurrence whenever you go to sleep. You can reduce this problem with the help of the right model. Tips to Deal with Snoring! Back sleeping often worsens this issue due to the narrowing of your air passages aka nasal congestion. To help prevent it when sleeping on your back, simply elevate your head about 4 inches with pillows . Keep in mind that this could cause neck pain when you wake up. In that case, you can consider sleeping on your side. 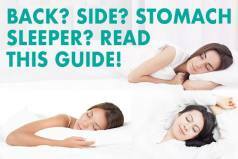 Neck and lumbar soreness aside, stomach sleeping is a great position to prevent snoring and sleep apnea. Side sleeping is recommended by experts as the ideal position for sleep apnea and people who snore. When you sleep on your side, your mouth is closed and the airway, especially at the throat level, is straightened up causing snoring to stop. Lose some pounds – People who are overweight or carry excess weight around their necks or throat tend to snore due to fatty tissue and poor muscle tone (lack of tightness in the muscles or the tongue and throat) blocking the airways. Losing some extra weight can help you breathe more easily. Alcohol, sleeping pills, and sedatives relax your throat tissue which can result in making you snore. You should avoid alcohol 4-5 hours before sleep. Quit smoking – Smoking can block the airways due to irritating the membranes in the nose and throat. Stay hydrated – When you’re dehydrated, secretions in your nose and soft palate become stickier, causing you to snore. Drink lots of water to prevent that from happening. Similarly, dry air causes your throat and nose to dry, use a humidifier when sleeping can provide you the much-needed moisture. Exercise – Help you lose weight and tone your muscles. Firmness and support – For people who snore, it is an absolute no-no to use super soft or plush models. It may be comfortable but would not provide adequate support to your head and the curve of your back which thus cause obstruction in breathing and snoring. Also, do not choose one that’s too firm, especially if you’re a side sleeper or trying to sleep on your side. A model that is too firm can be really uncomfortable and causes you to naturally roll onto your back. As discussed above, if you don’t want to snore, you should choose a model that has good firmness and support for the head and neck and prevent the airways from collapsing and causing obstructions while breathing. Firm models, however, can cause you to want to shift on your back to avoid being uncomfortable with side sleeping and thus cause you to snore more. Choosing the proper firmness is paramount if you want to prevent this issue. You have many options to pick from, and some models can even be used on adjustable bases. As mentioned previously, sleeping on your side is the preferred position to keep airways open and not collapse, so the best model for side sleeping is also the best for people who snore. With numerous options in the market, it seems complicated to choose the best one for snoring. You need something with good spine alignment and is of medium firmness. Additionally, it also has to have the right bounce and conforms to your body shape and movement. Comfort + top kit serves as an additional layer that can either increase or decrease the firmness level of the mattress. 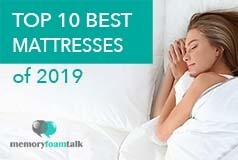 This layer combined with the foam layers beneath does a great job at providing both comfort necessary for side sleeping and enough firmness if you switch to your back or stomach. It is ideal for all sleeping positions and for the sleepers of different weights. Although it initially may feel a bit too firm and not as cushioned, after sleeping on it for an extended amount of time, your body will adapt to the mattress and mold perfectly to the memory foam. Therefore, this mattress is an excellent choice when it comes to the snoring prevention due to its all foam construction and soft yet supportive sleeping surface. Although the Novosbed gets softer over time, it does not lose its firm support on the head, neck, and back which is recommended for people who have snoring problems. Get the full Novosbed mattress review by clicking here. The DreamCloud is great new mattress that has been recently released and that is a perfect combination of the classic memory foam feel with great body hug and the support of innerspring pocketed coils. In addition, its exceptional comfort, support, and super high luxury design and materials make it an ideal choice for snorers. 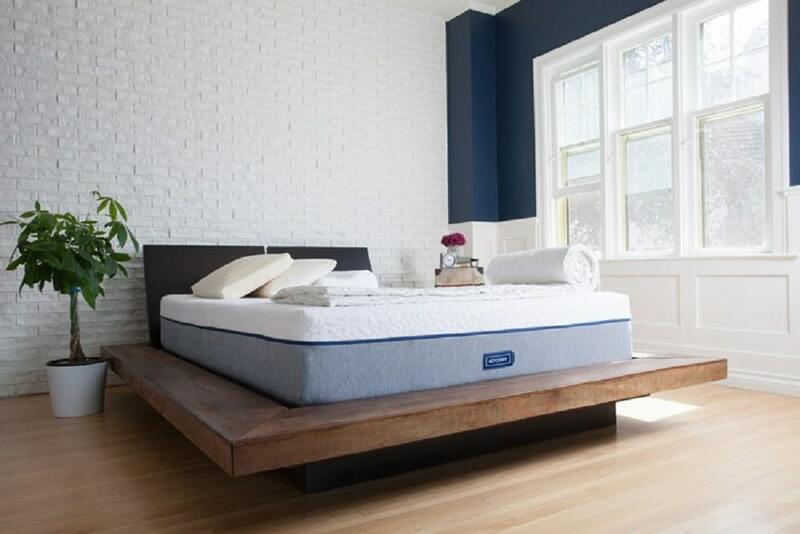 It is a 15″ luxury hybrid mattress with 8 layers of foam, latex, and pocketed springs with a super plush top layer, made up of hand-tufted cashmere cover and provides excellent support for sleepers of different weights and sleep preferences without causing too much sinkage and motion transfer. Along with the good head and neck support, it provides incredible support needed to maintain clear airways and prevent snoring. Get the full DreamCloud mattress review. The Avocado Green is a hybrid coil and latex model which provides excellent cooling in an organic and natural model, surpassing others which cost much more for the same quality. It is a universal comfort model and comes in around a 6 on the firmness scale (10 being firmest), and is excellent for side sleeping and preventing snoring. The Avocado utilizes springs and latex, both of which are superior materials for providing airflow and inherent coolness, along with an organic Joma wool cover which also wicks away heat. This helps sleepers not only stay cool, but provides great support and helps reduce airway obstruction which is crucial for people who snore. Get the full review of the Avocado Green mattress here.